MOSCOW (UrduPoint News / Sputnik - 17th April, 2019) A manned Soyuz MS spaceship will be launched to the International Space Station using a new Soyuz-2 launch vehicle in the first six months of 2020, Dmitry Baranov, the director general of Russia's Progress Rocket Space Center, told Sputnik. 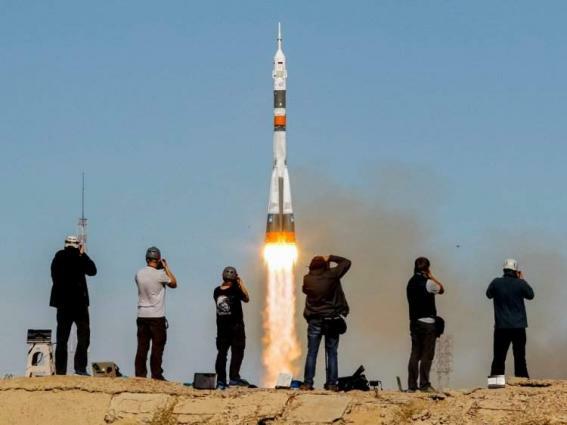 "The first launch of the manned transport spacecraft Soyuz MS using the Soyuz-2 launch vehicle with a crew on board will take place in the first half of 2020," Baranov said. At the moment, manned Soyuz spacecraft are being launched atop Soyuz-FG launch vehicle.